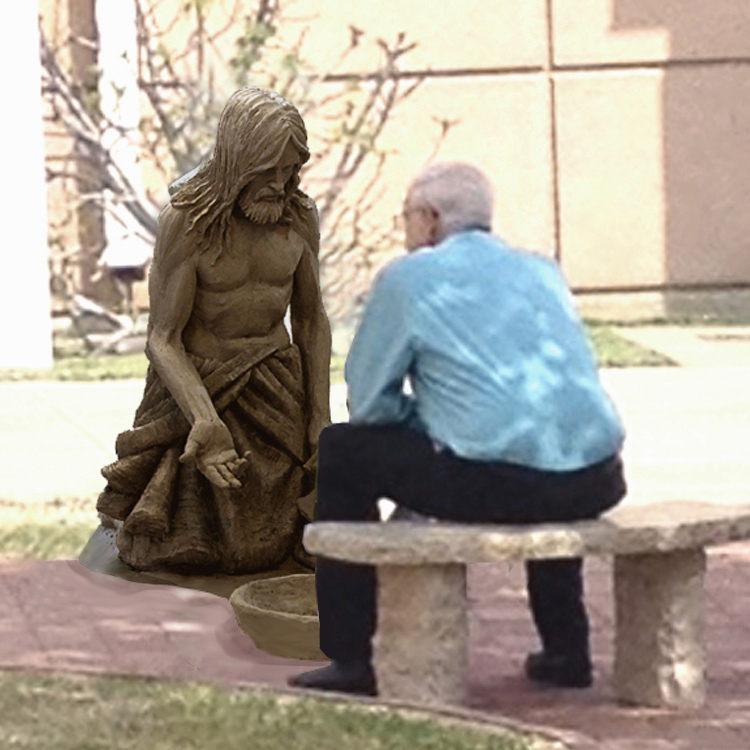 A sculpture inspired by the “last Supper” where the viewer becomes part of the work. 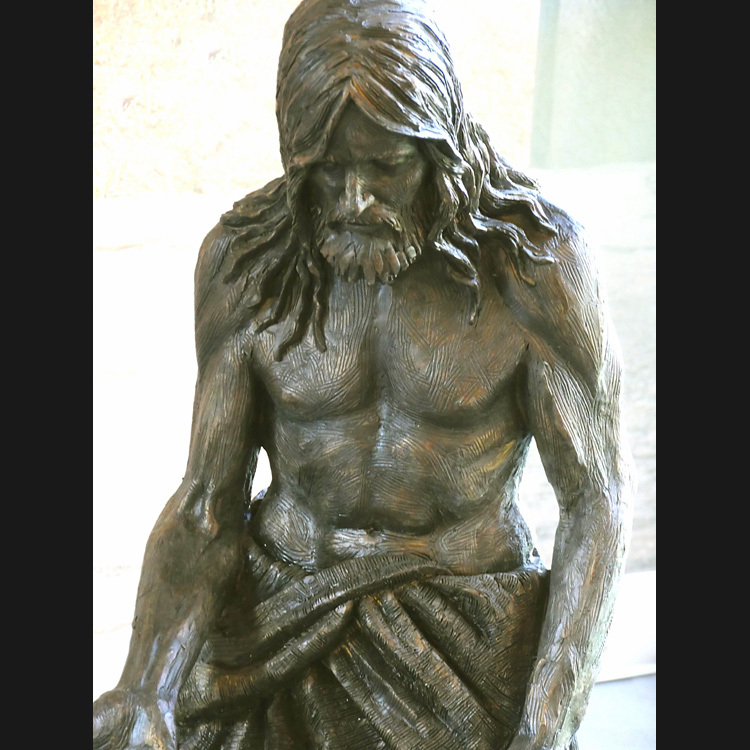 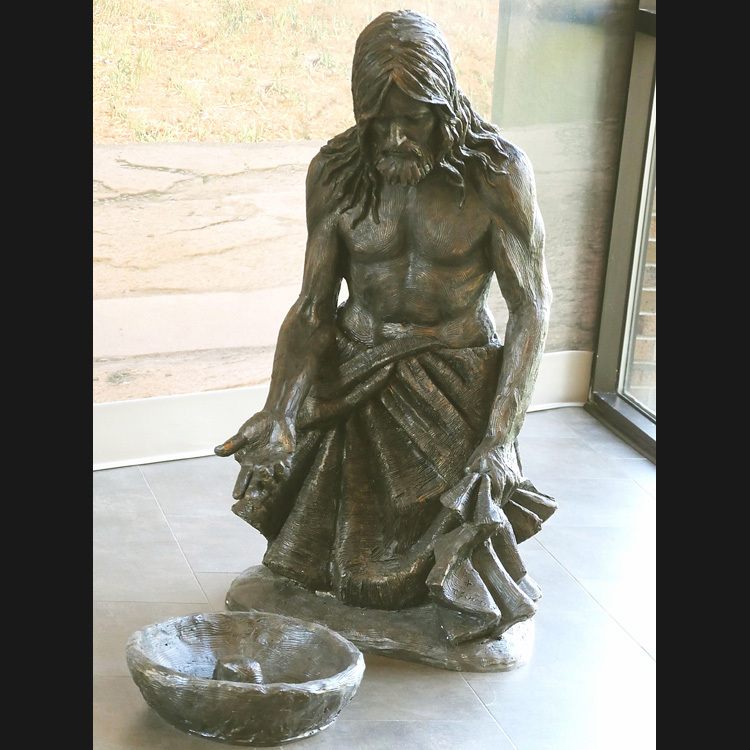 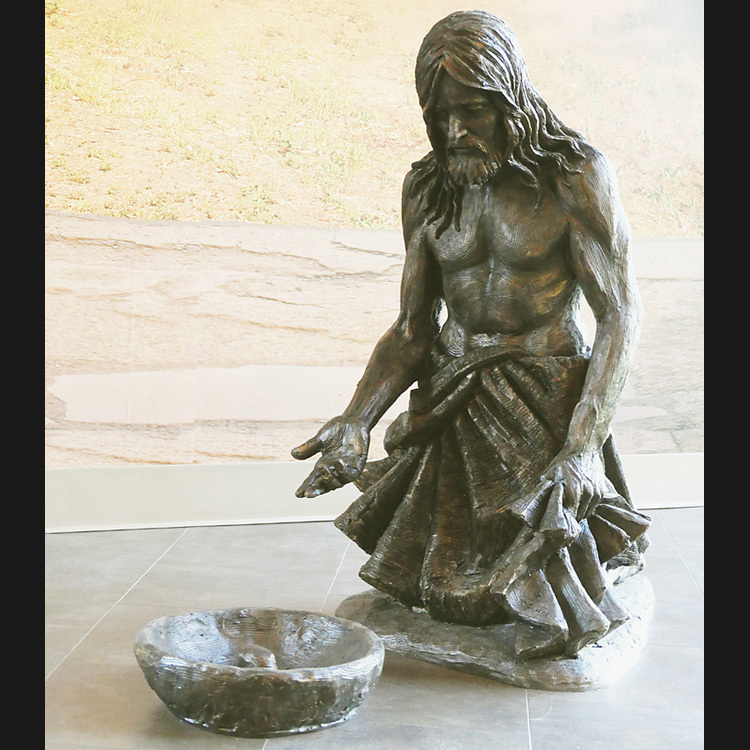 The viewer sees Christ on his knees ready to wash their feet. 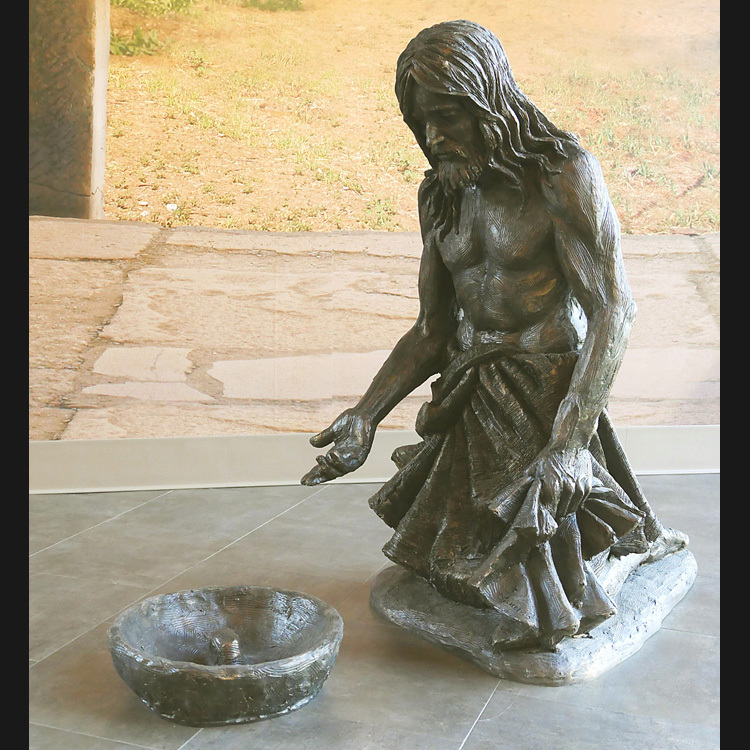 It is an invitation and the empty seat allows the viewer to really experience Peter’s emotions even better than trying to show those emotions with an image of Peter.